Fans were stunned and saddened by the unexpected death of superstar Whitney Houston. Could it have been predicted? While her voice expressed the heavenly gift deep in her soul, her handwriting told a different story. As a graphologist I needed to know! Shocked like everyone else I really needed to know what had happened. I contacted my cohort Steve Cyrkin, who also happened to be awake. He was already “on it” and immediately sent me many rare and authenticated handwriting samples. 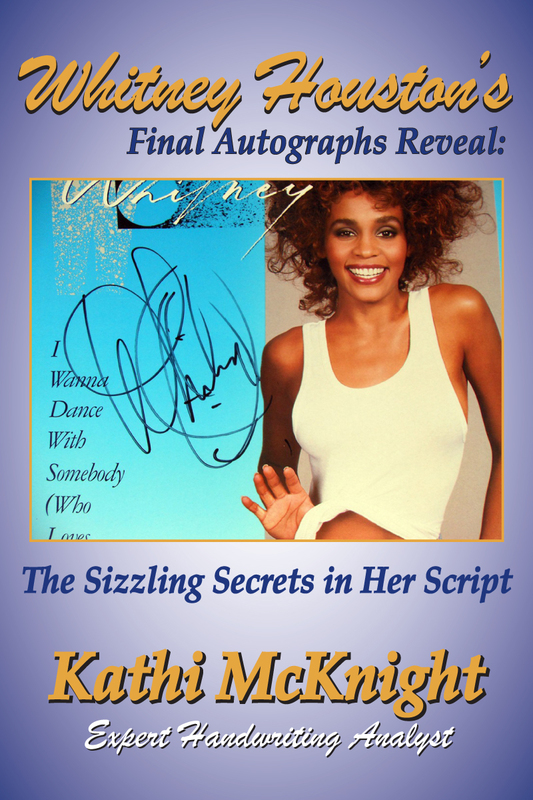 Kathi McKnight will provide an exclusive look at what was going on deep inside the beloved pop diva’s journey during the final hours of her life, via the insights reveiled by her own handwriting.